Let’s address income inequality and redistribution of wealth through Free Enterprise; NOT through government. The lifeblood of our economy, of American free enterprise, is individuals having ideas, acting on those ideas, and bringing those ideas to market. Unfortunately the fact is the number of individuals starting new companies, getting funding, and bringing ideas to market is at a historic low point! New company formation is down an incredible 50% since 1977; and for the first time in American history, the number of companies going out of business outnumber startups. That is bad news. Why is the number so high? It’s partly because it is getting harder and harder to get started and create a successful company, and partly because it is just more complicated and expensive now than it has been at any point in the past. What’s more, there are government issues, regulatory requirements, legal issues, globalization, and financing issues—all far more complex and daunting than they were just 10 or 20 years ago. The barriers to entry continue to grow. It is harder, more complicated, and more expensive than ever to start a new company. TV shows such as Shark Tank make it look easy; but it is not. 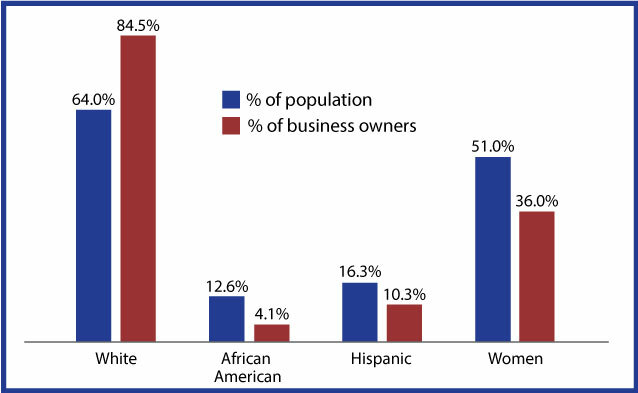 Worse yet, participation levels among low-income, disadvantaged, and minority persons are shameful. 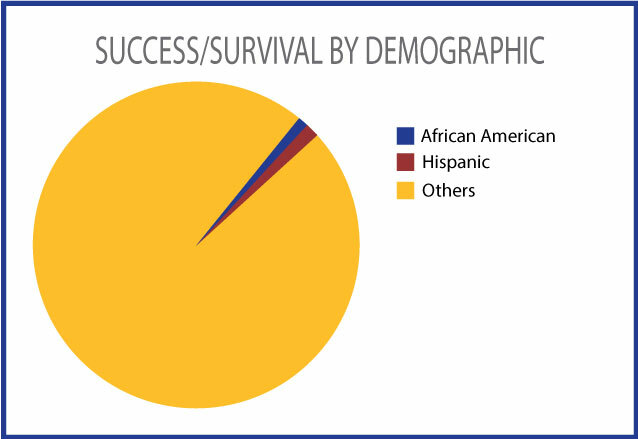 As if that were not bad enough, survival and success rates among the under-resourced groups seriously lag behind. The failure rate is estimated at up to 400% higher than other companies. Imagine that, a failure rate FOUR TIMES HIGHER! So these disadvantaged, under-resourced people participate at lower rates and fail at significantly higher rates. Something has to change. Someone needs to help them break this terrible cycle. By focusing on the two most important factors: Participation rates and Survival rates; we will give more and more people a real chance at becoming the first person in their family to start and run a successful business. Hidden Star will help under resourced, aspiring business owners all across the country start and grow their own company. We help them pursue their dreams and goals with appropriate help all along the way. Better yet, we are a group of people that have been successful entrepreneurs. We know how this system works, what is required to be successful, and how to give guidance, counseling, and real help to real people who want to change their lives and grow the American economy. If you would like us to contact you, please send an email to joinus@hiddenstar.org or fill out the form above. Either way, we welcome and appreciate your help and participation.